There is now an easier way to find video lessons on the ChinesePod website. 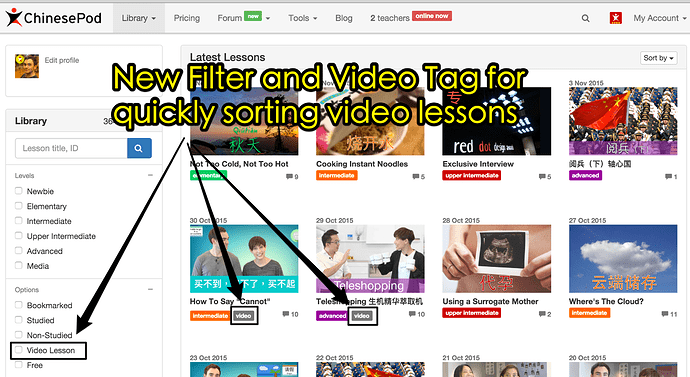 Just click on the new search option (or set it as your primary dashboard*) and you’ll notice grey video tags under the lesson art. You can also filter only by video lessons in the side menu. You may also filter them by selecting the lesson difficulty also.